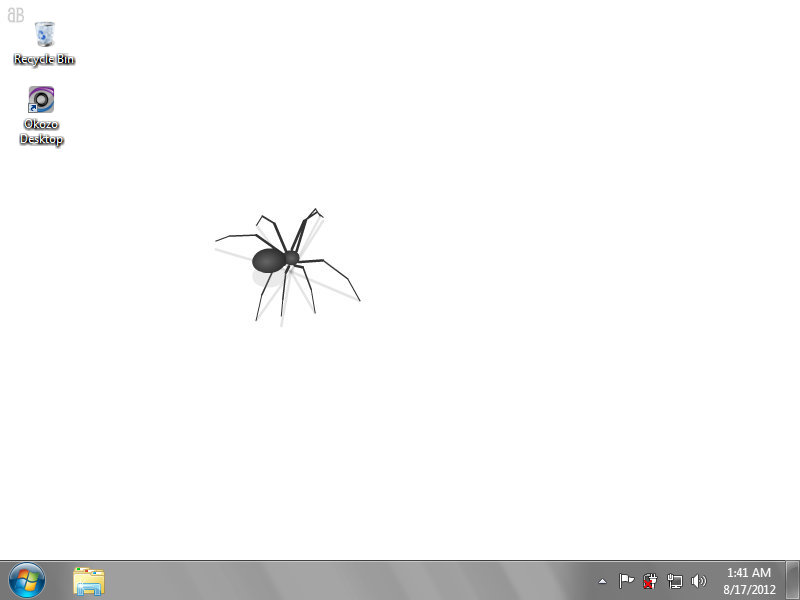 Watch this quirky 3D spider crawl all over your background in a cool, tasteful and interactive animated desktop wallpaper. Watch this quirky 3D spider crawl all over your background in a cool, tasteful and interactive animated desktop wallpaper. Smooth, high quality animation will have you mesmerized as this creepy insect perpetually follows the movement of your mouse, or scurries around on his own agenda. A low-resource, lightweight animated desktop wallpaper. Safe and signed installer.